If you are planning to learn Spanish in Spain, you need to know a few things about Spanish food. You’ve probably heard it before, but the cuisine in Madrid is excellent! Spanish food is simply delicious, healthy, Mediterranean, and offered in a vast variety of ways. Compared to other European countries, such as the UK, France or the Netherlands, it is relatively cheap. The supermarkets are located all over the city and offer an extensive selection of typical Spanish food, and are typically open until 10 or 11 in the evening (14 hours on Sundays). cafés is affordable, and there you are able to enjoy a three course Menú del Día for around 10 euros- a reason for its popularity. Spain has a wide variety of food and drinks, and trying a few favorites never hurts! Typical Spanish jamón is ham from an Iberian pig that is native to Spain. It is one of the most famous, frequent and delicious foods that the Spanish treasure! You will encounter this at almost every restaurant. The Spanish tortilla (Spanish omelette) is another cuisine that is frequently available on the menu in Spain. 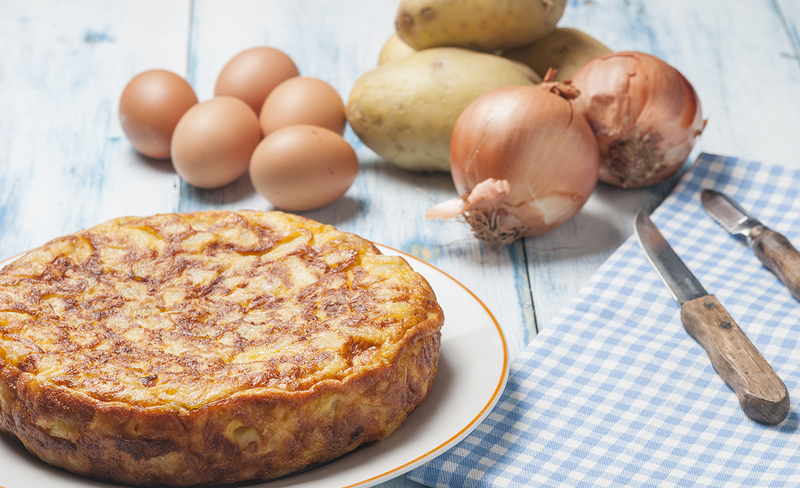 The Spanish tortilla is made with potatoes, eggs and sometimes onion. If you’re headed out for a cocktails or a fancy a glass of wine, keep Malaga Wine in mind. This wine is of the sweet variety, a lovely dessert wine and available in many of the wine stores in Spain. Finally if you want to end your night with a yummy dessert, always remember chocolate covered figs, which can be found in supermarkets all over the city, for the perfect night cap! 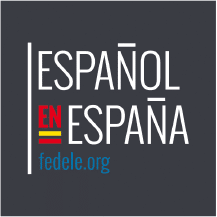 If you are planning on coming to Madrid, why not take full advantage of the experience and sign up for Spanish classes? You can find detailed descriptions on all of LAE Madrid’s courses here. © TOTALLY TOPTASTIC SL 2017 | 隐私政策.